The gravelly soils of Herrenweg in Turckheim often perform better when summer is cooler and when the weather isn’t too dry. This is exactly what happened in 2008. Véraison (change of colour) was finished under cool conditions and then only the temperatures gradually became warmer. The grapes were able to ripen perfectly while retaining fabulous acidity and staying very healthy. The Herrenweg vineyard, whatever the grape variety, was harvested quite early and this also explains the higher than usual acid levels of the wines from this area, enforced by medium size crops. 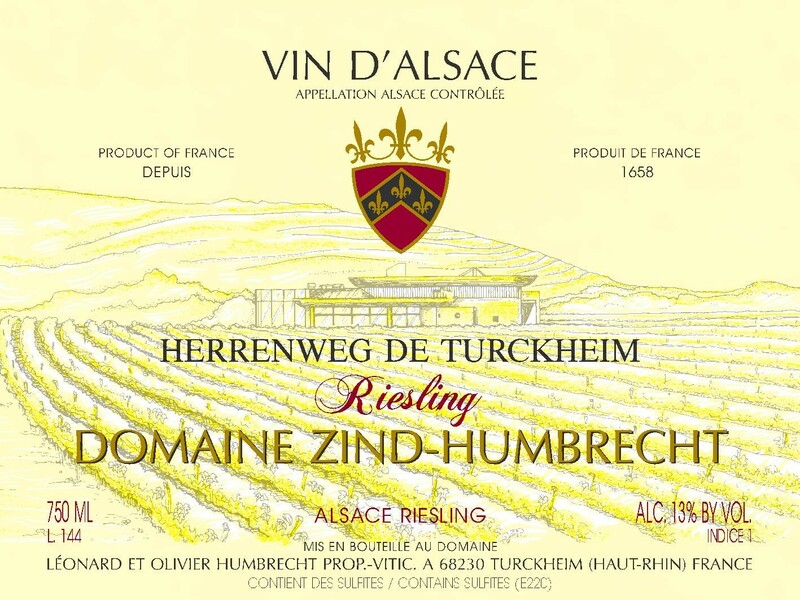 Like most other Riesling in 2008, the Herrenweg took 12 months to finish fermentation to a relatively low sugar level. 2/2010: the nose shows early expression of flowers and hints of minerals. This is quite a serious Herrenweg and slightly less extravagant than usual. The bio-dynamic farming must certainly allow more minerality in the wines, especially in an area which tends to produce more varietal style wines. The palate is firm, showing great acidity, very ripe, with good dry structure on the finish. It will be showing very well soon, but of course it will also develop beautifully over the next few years.